The 700+ hedge funds and money managers tracked by Insider Monkey have already compiled and submitted their 13F filings for the fourth quarter, which unveil their equity positions as of December 31. We went through these filings, fixed typos and other more significant errors and identified the changes in hedge fund positions. Our extensive review of these public filings is finally over, so this article is set to reveal the smart money sentiment towards Discovery Communications Inc. (NASDAQ:DISCK). Discovery Communications Inc. (NASDAQ:DISCK) shares haven’t seen a lot of action during the third quarter. Overall, hedge fund sentiment was unchanged. The stock was in 34 hedge funds’ portfolios at the end of December. At the end of this article we will also compare DISCK to other stocks including Symantec Corporation (NASDAQ:SYMC), Liberty Media Corporation (NASDAQ:LSXMA), and Celanese Corporation (NYSE:CE) to get a better sense of its popularity. Let’s analyze the fresh hedge fund action surrounding Discovery Communications Inc. (NASDAQ:DISCK). 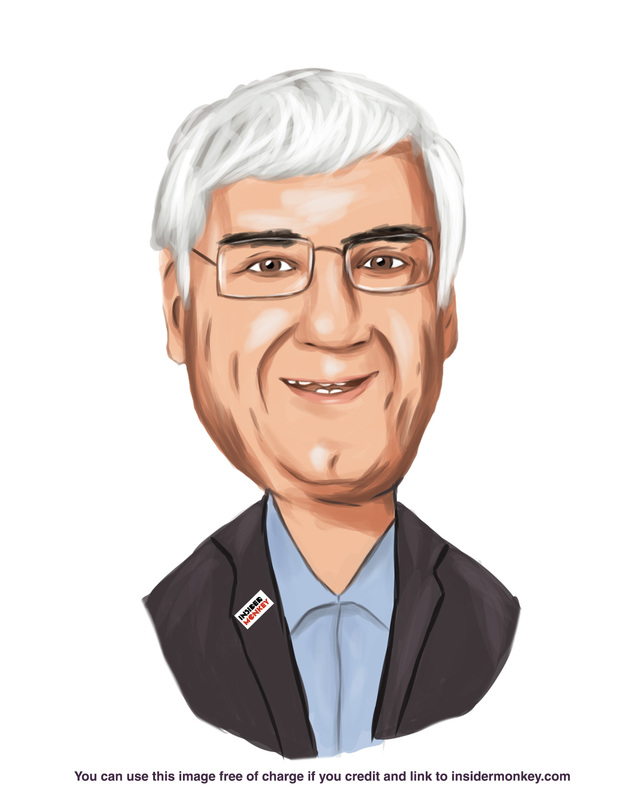 What have hedge funds been doing with Discovery Communications Inc. (NASDAQ:DISCK)? Heading into the first quarter of 2019, a total of 34 of the hedge funds tracked by Insider Monkey held long positions in this stock, a change of 0% from the second quarter of 2018. 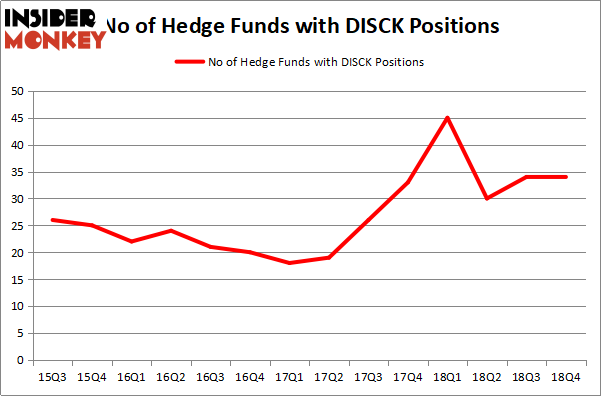 On the other hand, there were a total of 45 hedge funds with a bullish position in DISCK a year ago. So, let’s examine which hedge funds were among the top holders of the stock and which hedge funds were making big moves. The largest stake in Discovery Communications Inc. (NASDAQ:DISCK) was held by Paulson & Co, which reported holding $270.6 million worth of stock at the end of September. It was followed by Chieftain Capital with a $107.5 million position. Other investors bullish on the company included CQS Cayman LP, Citadel Investment Group, and Hudson Bay Capital Management. Seeing as Discovery Communications Inc. (NASDAQ:DISCK) has witnessed bearish sentiment from the aggregate hedge fund industry, logic holds that there is a sect of fund managers who sold off their positions entirely in the third quarter. Intriguingly, Steve Cohen’s Point72 Asset Management cut the largest stake of all the hedgies followed by Insider Monkey, worth about $26.6 million in stock, and John Bader’s Halcyon Asset Management was right behind this move, as the fund dumped about $22.3 million worth. These transactions are interesting, as aggregate hedge fund interest stayed the same (this is a bearish signal in our experience). Let’s also examine hedge fund activity in other stocks – not necessarily in the same industry as Discovery Communications Inc. (NASDAQ:DISCK) but similarly valued. We will take a look at Symantec Corporation (NASDAQ:SYMC), Liberty Media Corporation (NASDAQ:LSXMA), Celanese Corporation (NYSE:CE), and Fortinet Inc (NASDAQ:FTNT). This group of stocks’ market caps resemble DISCK’s market cap. As you can see these stocks had an average of 32.75 hedge funds with bullish positions and the average amount invested in these stocks was $1050 million. That figure was $779 million in DISCK’s case. Liberty Media Corporation (NASDAQ:LSXMA) is the most popular stock in this table. On the other hand Celanese Corporation (NYSE:CE) is the least popular one with only 26 bullish hedge fund positions. Discovery Communications Inc. (NASDAQ:DISCK) is not the most popular stock in this group but hedge fund interest is still above average. This is a slightly positive signal but we’d rather spend our time researching stocks that hedge funds are piling on. Our calculations showed that the top 15 most popular stocks among hedge funds returned 21.3% through April 8th and outperformed the S&P 500 ETF (SPY) by more than 5 percentage points. Hedge funds were also right about betting on DISCK, though not to the same extent, as the stock returned 17.2% and outperformed the market as well.